I’ve been slammed with some major work and family-related issues within the past couple of days, but I did manage to get a couple of moments in to squeeze a quick post on a spell which might be of interest to some of my gentle readers. It isn’t all that fancy, as love spells go, and it is basic in its reach and scope, but it is fairly innocuous, and it might just be the ticket for a special couple. Here it is, with directions included. Take care, have a good week, and I will return in full force next week, where I will delve further into the power of the mantra and why it is better than praying. What’s a Tao Babe spell book without a Diet Spell? As promised, here is the spell for the removal of unwanted weight for the chubbier Tao Babe, or the addition of much needed weight for the extremely emaciated Babe. Obviously, even in ancient times, there were dietary issues. People are people, and the issues of too-fat, too-thin have always been around for as long as humanity has been around. 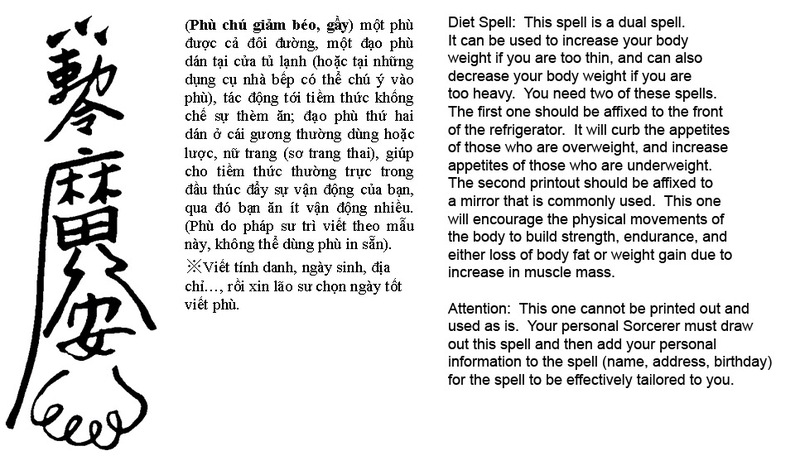 Here then, is the modernized and updated version of the Diet Spell. Unfortunately, it is not one that can simply be printed out and utilized. You actually have to visit a neighborhood Sorcerer to get this spell written out for you because it needs to be personalized. 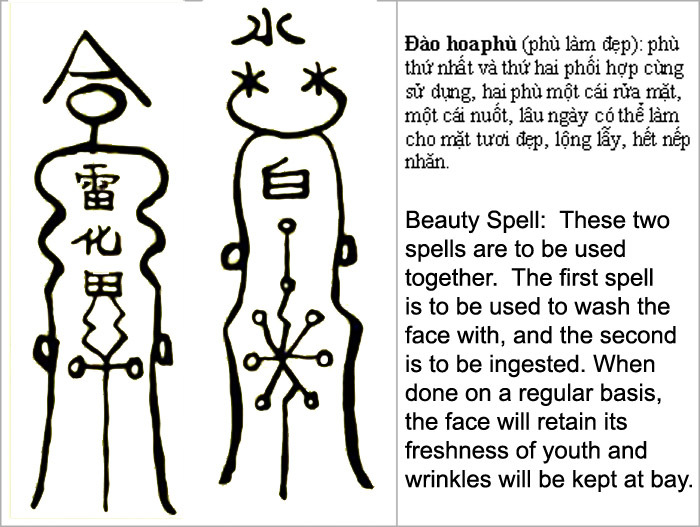 As promised, and since this is a Tao Babe blog (emphasis on the Babe), my first translation of the spells used is the Beauty spell. Who wouldn’t want to be beautiful and stay beautiful? Who wouldn’t want to have less wrinkles and retain a youthful complexion? Well, this combination of one/two punch will do the trick. Simply burn the spells in separate crucibles and then store the ashes separately. Make sure they are labeled correctly. One is for ingestion, the other for washing of the face. As with all spells I post on my blog, please do not try this at home without further instructions and safety precautions from high level Masters. There is a detailed and involved preparation that must be done prior to drawing the lines (see Sorcery Preparation). For more information, consult your personal Sorcerer. Disclaimer: All the materials contained on this website have been obtained from sources considered to be reliable and all the necessary measures have been taken to provide accurate information. No warranty or representation, express or implied, is made to the accuracy or completeness of the information contained on this website, and same is provided subject to errors, omissions, or other conditions, withdrawal without notice. The content of this website is for informational purposes only and is subject to change. Responsibility for the use of any and all information contained on this website is strictly and solely that of the user.